The Internal Revenue Service official in charge of the tax-exempt organizations at the time when the unit targeted tea party groups now runs the IRS office responsible for the health care legislation. Sarah Hall Ingram served as commissioner of the office responsible for tax-exempt organizations between 2009 and 2012. But Ingram has since left that part of the IRS and is now the director of the IRS’ Affordable Care Act office, the IRS confirmed to ABC News today. Her successor, Joseph Grant, is taking the fall for misdeeds at the scandal-plagued unit between 2010 and 2012. During at least part of that time, Grant served as deputy commissioner of the tax-exempt unit. If you're waiting for a rimshot, give it up. Smell the reality, friends. And In case you were curious, yes of course Ms. Ingram raked in more than $100,000 in taxpayer-funded bonuses as she oversaw her office's the abusive targeting scheme. Now she's off to bigger and better things; namely, monitoring and enforcing your healthcare arrangements. Conservatives have already started making the IRS-Obamacare nexus clear -- a killer talking point -- but this new information brings the connection to an entirely new level. The woman who is arguably the individual most directly responsible for the operation of the IRS targeting scandal has been promoted to run Obamacare enforcement. Let that sink in. Obamacare's core individual mandate, which the Supreme Court upheld as a tax in 2012, goes into effect next year, and our trustworthy, apolitical pals at the Internal Revenue Service are in charge of policing it. I'm sure being infected by toxic IRS taint will make Obamacare even more popular than it already is. On a related note, the House just voted (again) to repeal Obamacare in its entirety. Democrats mocked and belittled the effort, wherein every Republican voted in favor of uprooting this unaffordable mess, while all but two House Democrats voted to keep it in place. Look at these obsessed fools, banging their heads against a wall for the 37th time, liberals are chuckling. I doubt they'll be laughing for long. First of all, several of the more narrowly-tailored repeal votes actually succeeded. But here's another key point here: Both Democrat "yea" votes came from House veterans who represent red districts. That means that every other vulnerable Democrat, and every single Democratic freshman, voted to protect every last detail of Obamacare, including IRS enforcement. How's that going to play? (Have fun, NRCC). House Republicans couldn't have timed this symbolic vote any better. 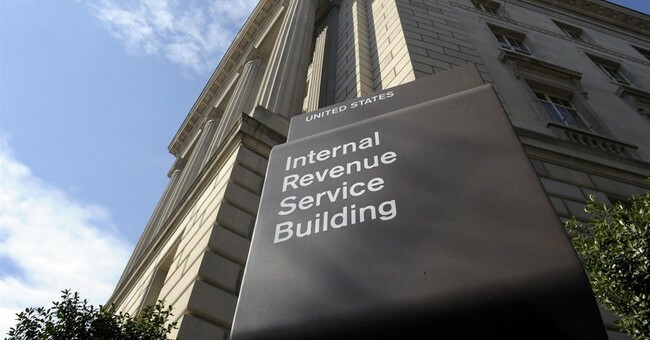 Hell, the GOP campaign committees should send flowers to the entire IRS management team. I'm speechless. UPDATE - By the way, ABC News also confirmed that the "fired" IRS acting commissioner was on his way out anyway. The second head to roll, Joseph Grant, was just promoted eight days ago to the position that he's now vacating. Eight days ago, he was elevated to replace...you guessed it, Sarah Hall Ingram. Kudos all around, guys.